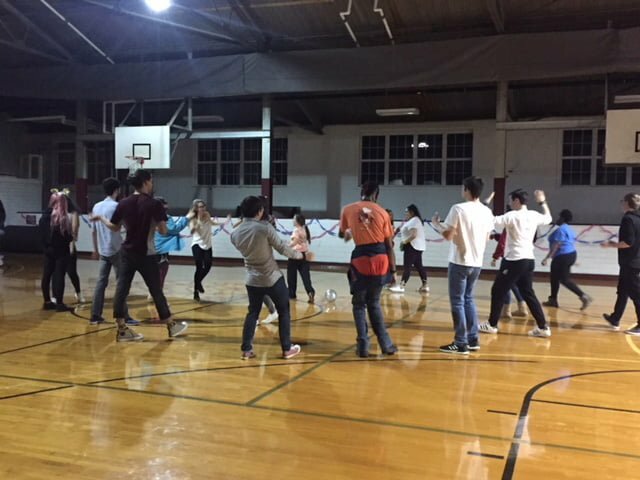 On Saturday, Jan. 26, Guilford College hosted a dance marathon to raise money for the YWCA of Greensboro’s Family Shelter. The event was held in the Alumni Gym and ran across eight hours, from 6 p.m. to 2 a.m. The marathon included live music performances and featured artists such as Softcore, Indigo, YP, Saphron and Hone$t John. The first band started setting up around 8 p.m. and the music lineup continued past midnight. The gym where the dance took place was decorated with balloons and streamers and had a large buffet-style table set up to provide dancers with refreshments. With the purchase of a ticket, attendees were able to experience the food, drink and other activities that the marathon had to offer. Not only did participants dance to the music in the name of charity, they also had the opportunity to engage in different games and contests. There were dance-offs, a sing for your life challenge, a photo booth and balloon races, along with a variety of other activities, which people could get involved with throughout the night. 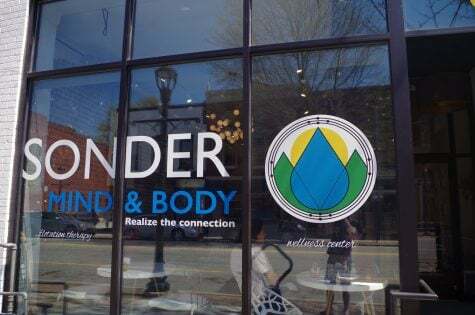 The event was put together by members of the Guilford community who were interested in helping the cause, making it so that the event not only helped those in need, but also gave Guilford students a chance to become active and involved in their community. The organizers behind this event also dedicated many hours to ensuring its success. This idea behind this event was that participating dancers got sponsors who pledged to pay a certain amount of money for each hour that they danced. This money is then to be collected after the event and donated to the YWCA. Alternatively, if people did not want to get sponsors, there was also an option to pay a flat fee for an entry ticket at the door. 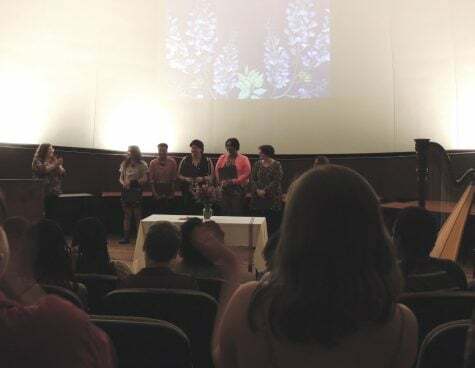 Not only was this event a fun-filled night of dancing for attendees, participants were able to leave knowing that they contributed to an organization that is actively helping families in need. Homelessness is an issue which affects cities across the nation, and it is through contributing to organizations like the YWCA that helps make a difference. “This cause is so important because homelessness is a very serious problem and we’re going to help those people and keep people together as families,” Foulke said.